One of the largest dog species known, the Irish wolfhound can reach the size of a small horse. This wire-haired dog may be seen by some as a monster due to its size but it is one of the gentlest breeds there are. Let’s take a look at the history of this giant breed, its overall temperament, physical appearance and demands as a domesticated animal. 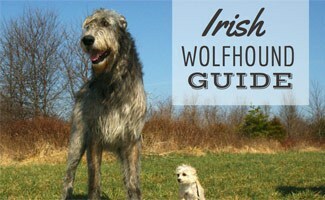 What Does the Irish Wolfhound Look Like? The Irish wolfhound is one of the tallest dog breeds in the world, standing between 28 and 35 inches tall. Despite being taller than many medium and large breed dogs, this giant breed only weighs in at between 90 and 150 pounds. When standing on its hind legs the Irish wolfhound can reach up to seven feet tall! The dog’s head is elongated and narrow with a pointed muzzle. This dog carries its small-sized ears against its head but they will stand semi-erect when alert. In addition to an elongated skull, the neck of the Irish wolfhound is also long and has a prominent arch shape. Everything about this breed is slender and somewhat refined in terms of bone structure. The body itself is slender with a wide chest, and the tail is long and tapered. This breed has particularly long legs with rounded feet and arched toes. The Irish wolfhound has a shaggy coat that is rough and wiry. This longer coat covers the entire dog including the legs, tail and head. Some say its long fur over its eyes and under the chin give the dog an “old man” like appearance. The most recognized color for this giant breed is gray; however, this Sitehound can also be red, brindle, white, black or fawn. Where Did the Irish wolfhound Come From? The oldest known records of the Irish wolfhound date back to 391 AD in Rome. During these ancient times this large breed was most commonly used to guard property as well as fight in wars. As time progressed, these dogs were also used for hunting wolves, Irish elk, deer and boar. The name “wolfhound” originates from its use as a wolf hunter. The Irish wolfhound thrived in Ireland where it kept “pest” populations at bay but when many of these “pests” became extinct, the dog faced its own endangerment. Irish wolfhound populations declined until it was restored many years later and the Irish Wolfhound Club was established in 1885. The American Kennel Club recognized the breed in 1897 and in 1925 it was recognized as a sporting breed. The Irish wolfhound is often recognized as a dog of royalty since it was frequently given to royalty as a gift in more regal times. Despite being bred to track and kill wild wolves, the Irish wolfhound has a kind and sweet temperament with humans. This large breed is one of the few giant breeds that seems to be aware of its size and is very gentle with children and can be trusted as family dogs. As puppies they can be over exuberant and clumsy and this puppyhood phase lasts for around two years. So owners should be prepared to invest in obedience training upon adoption. Irish wolfhounds are exceptionally loyal dogs and are considered to be real people pleasers. Many people mistake this breed for a great watch dog due to its size but, while its size may deter intruders, it will be more likely to welcome strangers than bark at them. This breed is also welcoming to other dogs and large family pets but you may want to keep it away from your pet gerbils and rabbits. Due to the sociable nature of a well-adjusted Irish wolfhound this breed is not recommended as a guard dog. It should be noted however that if this dog notes danger in the presence of its family it will not hesitate to act. The strong bond that the Irish wolfhound builds with its family drives it to protect its family members regardless of any danger it may face itself. This characteristic leads many to characterize this breed as a guardian rather than a guard dog. These giant dogs will consume much more food than a smaller dog and it is crucial that this food be high quality. Due to their incredible rate of growth it is important that Irish wolfhounds receive adequate nutrition in order to develop strong bones and healthy organs. High quality dog foods eliminate the need for additional supplementation. Most breeders advise avoiding supplementation of this breed all together since it can increase their already rapid growth and lead to more health concerns. After puppyhood, Irish wolfhounds require a diet that is low in protein with a protein level between 19 – 21%. It should be noted however, that some individual dogs have special dietary needs that may differ from this recommendation. It is always important to check with a dog’s veterinarian to ensure that their food is suited to their individual needs. The Irish wolfhound is an incredibly large dog and it is important that they receive frequent and regular exercise in order to maintain a healthy weight. Exercise also gives all dogs an outlet for their natural need to roam and exposes them to varying stimuli. Due to the rapid rate of growth that these dogs go through during puppyhood, it is important to avoid heavy exertion. The Irish wolfhound experiences fast growth spurts so their bones can be heavily impacted by over exertion. Anyone contemplating adding an Irish wolfhound to their home should be prepared to invest time and money in training. Due to the sheer size of this dog, it is crucial that owners have full control at all times. 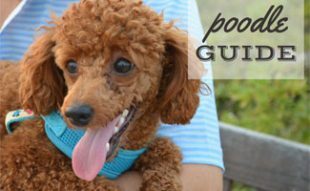 One of the most significant subjects that need to be tackled when the dog is young includes walking on a leash and avoiding jumping behavior. The Irish wolfhound is an easily trained breed but it requires both firm and gentle leadership. All dogs require a firm leader; however, breeds like the wolfhound are particularly sensitive and do not respond to harsh training methods. It is also important to build up the dog’s self-confidence to avoid the possibility of it being nervous, skittish, maladjusted and difficult to control. A lack of self-confidence can also lead to problems such as nervous biting, separation anxiety and trouble socializing with people and other dogs. If purchased from a reputable breeder, your Irish wolfhound should have a well-rounded temperament. But it is up to you to ensure that this temperament is given the chance to bloom. One of the most important responsibilities as an owner is to properly socialize your dog, regardless of the breed. Due to their incredible size however, this socialization process is even more crucial for the Irish wolfhound. Once the Irish wolfhound has been given all of their vaccinations and can safely mingle with other dogs and people, socialization should begin immediately. Good methods for socializing include puppy obedience classes, dog parks, pet friendly stores, frequent walks and exposure to children at playground areas. It is important to keep in mind that not everyone is going to be open to petting your dog, particularly in a playground setting. Rather than requesting that people pet your dog, simply sit and allow people to approach your dog if they desire to pet it. As a regular practice in polite obedience, you should always make your dog sit before meeting people or being petted. If introducing your wolfhound to other animals, always do this on neutral territory and allow the dogs to meet each other on their own terms. Where Can the Irish Wolfhound Live? Accommodations are a significant concern to be considered by anyone looking to adopt an Irish wolfhound. Due to the size of this dog when fully grown, the Irish wolfhound does not tend to do well in apartments and they cannot fit in most compact car models. While this breed is not very active indoors, they are large and require enough room to roam without constantly being underfoot. Due to their exercise requirements, Irish wolfhounds do best in homes with large yards where they can exercise freely in addition to receiving daily walks. These dogs require a family “pack” and should never be kept as “outside dogs” because separation from their family causes them anxiety and unhappiness. This anxiety can be eased by engaging in playtime with the dog and not locking them in an outdoor kennel. The Irish wolfhound should not be left alone in a yard without a physical fence because it is prone to chasing wildlife. As a sighthound, the Irish wolfhound has never quite lost its tendency to chase prey items. The Irish wolfhound is a very short-lived breed and has an average life span of 6 to 8 years. The most influential factor on the lifespan of this giant breed is its sheer size which takes a toll on the dog’s internal organs as well as its joints. This breed is also prone to a number of health conditions that can limit its lifespan. Cardiomyopathy, a condition in which the muscles of the heart become deteriorated to a point that they interfere with functioning, is common among this breed. Bone cancer and hip dysplasia are also common in Irish wolfhounds. As with most deep-chested dog breeds, canine bloat is a concern but this can be mitigated by modifying feeding habits and posture. PRA or progressive retinal atrophy is another common condition for this giant dog and often leaves these gentle giants without their sight. Another significant concern for this breed is Von Willebrand’s disease, a congenital disease that affects the platelets of the blood and interferes with the ability for the dog’s blood to clot. Many people liken Von Willebrand’s to hemophilia in humans. According to studies conducted by the Irish wolfhound Club of America and the UK Kennel Club, the most commonly recorded cause of death for this breed between 1966 and 1986 was bone cancer. The second leading cause of death in this breed is dilated cardiomyopathy. Another important part of maintaining a healthy Irish wolfhound is keeping a regular grooming schedule. The rough hair of this breed can daunt new owners; however, it is easily groomed with a brush or comb. Regular grooming includes brushing the coat completely a couple of times a week minimum in order to prevent knotting and matting. Veteran Irish wolfhound owners suggest a professional grooming at least twice yearly to remove any dead hair from the coat. Despite having a wiry coat, the Irish wolfhound is an average shedder and is not a good choice for anyone looking for a “non-shedding” or lightly shedding dog. Is the Irish Wolfhound the Right Breed For You? Deciding which breed is right for you and your family is a crucial part of choosing any pet, but with the Irish wolfhound there are special considerations to look at. Families looking at the Irish wolfhound must be willing to accept that their dog will likely have a lifespan that is half that of most medium breed dogs. The cost of maintaining an Irish wolfhound is another factor to consider since the size of these dogs means that they require much more food to maintain a healthy body weight. In addition to needing more food, this food should be high quality food which also has a financial impact. The cost to board, administer preventative medications and have surgeries performed may also cost more for a larger breed due to the size of the dog. In this day and age many dog breeds suffer from “backyard breeders” who breed their dogs only to make a profit. The Irish wolfhound is one breed that suffers particularly from this bad breeding practice. It is unforgivable to promote unhealthy breeding practices of any species or breed, but this practice has an incredibly significant impact on the already short living Irish wolfhound. When breeding is done primarily to make money, the breeder may skip corners such as health screening certifications and a lack of attention or knowledge of the “right” traits expected from the breed. This poor practice results in dogs that have their already short life span condensed even further due to genetic illness, poor hip structure and poor overall development. When seeking a good Irish wolfhound breeder it is important to research the bloodlines of dogs bred through a specific program. Honest breeders will never question you asking for their dog’s certification records and will almost always have awards from their dogs’ showings that they will be happy to brag about. Good breeding programs will always be willing to let you meet the parents of your potential puppy so that you can assess what your dog is “made from”. 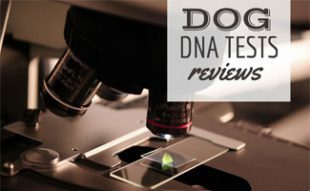 Some people find it aggravating to go through all of the paperwork that breeders request from their purchasers, but a breeder that does not require this type of paperwork is a breeder to avoid. A good Irish wolfhound breeder will ensure that you have all the information you need about the breed as well as make sure that you commit to a contract. Contracts state that you are not intending to breed your new dog, that you will have your dog spayed or neutered and that if you are ever unable to care for the dog that you will return it to the breeders care. These things all point to a high quality breeder however, they do not guarantee it. The best method for finding a good breeder is to ask other Irish wolfhound owners. Are “Good” Irish wolfhounds Always Purchased From Breeders? Unfortunately many people are under the assumption that “good” dogs are always purchased from breeders. This is simply not the case. There is the knowledge of a dog’s bloodline that comes with purchasing a dog directly from a breeder, but “good” dogs can also be rescued. 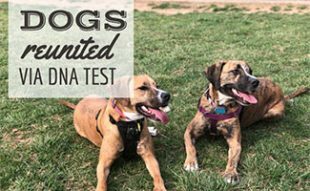 Rescued dogs can be fully registered with the AKC and come from the most reputable breeders, but when passed on to family members without the resources to care for them, they find themselves in rescue organizations and shelters. The best way to find a rescued Irish wolfhound is to contact a nearby Irish wolfhound rescue organization. See this breed in action and learn more about this large and lovable pet in this 3 minute video from Animal Planet. 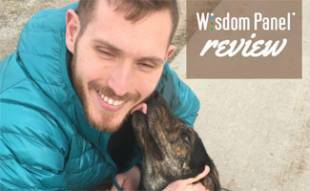 Find more tips and resources on the Irish Wolfhound Club of America’s website. Why are you considering an Irish Wolfhound puppy? An absolutely awesome breed. I have a 4 year old and just picked up another…puppy. Greatest, gentlest family dog ever. I have one of these magnificent creatures. Lots of love this is my 6th one my last 2 stayed with me for nine years. When they left, they left a big hole in my heart which has be hard to fill or heal.i am grateful everyday for each of them. My husband and I were considering getting an Irish Wolfhound so I’ve doing some research on the breed and it seems like from what I’ve read they’re pretty expensive, and given their short life span (not to mention shady dealers) it might be best to find an alternative breed – glad we read this first, will check out some of your other breed guides, thanks Amy! You get what you pay for. They are the most loving, obidient and gentlest breed you’ll ever find. My 5 year old loves him to pieces. And I just drive 22 hours to pick up another one..10 weeks old. If you’re having doubts…contact me. I cannot brag enough about this breed !! !